Too finish the rolling road day (AT ALAN JEFFERY http://www.enginetuner.co.uk/home.htm) with a bang , there is a cruise organised now at normal location . Only this time i have been in talks with FASTCAR and they are CONFIRMED to be coming down to us on the 25th september . 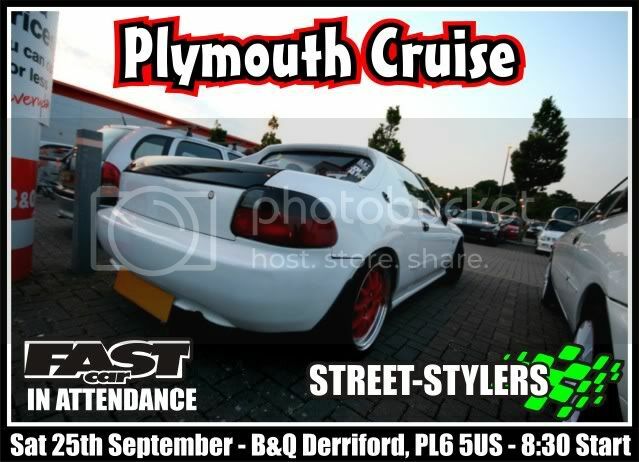 Sooo please lets make this absolutly huge and show them what Plymouth and Street-Stylers have to offer .